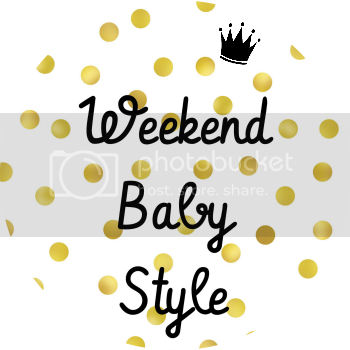 For a while I have been meaning to take part in the Weekend Baby Style link so since we had a dress for M I thought I would take the plunge and join this week. 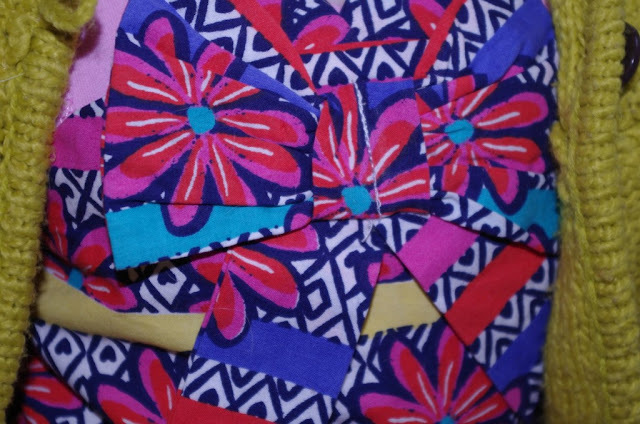 With summer, hopefully, on its way the shops are full of bright clothing so I am in heaven when it comes to picking up bits and bobs for M as I LOVE colour. Yesterday we were in ASDA when I saw this dress and me and my hubby loved it. If there is ever a dress that screams summer it has to be this one! It buttons on the back and has a petticoat as well. Comes in sizes 9 months to 7 years. This is a 3-6 month cardigan again from George at ASDA which is, obviously, no longer stoked. I have no idea where I got these tights as they have no labels on them. They have tiny hearts on them which are lovely and I am sure they came in a few colours. The front of the dress has a bow on it, which I was a bit unsure of until I put it on M, which adds to the overall design of the dress. 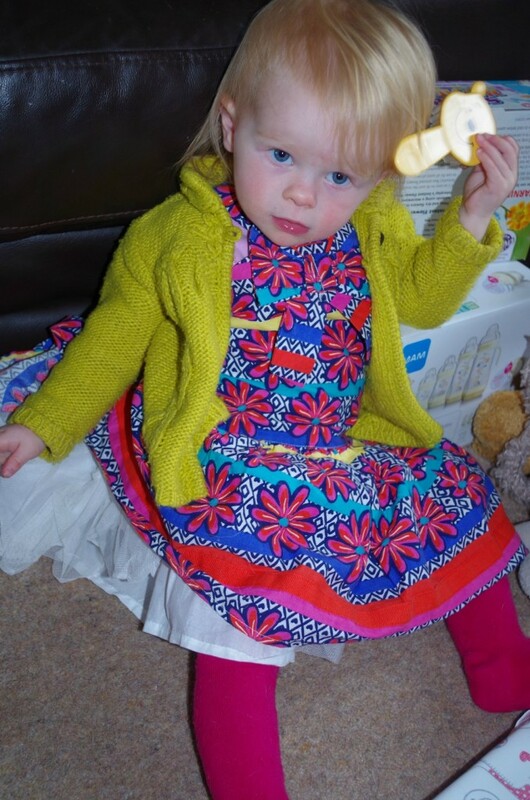 Now we just need some sunny days to allow us to take of the cardigan and vest and really wear this summer dress as intended. When is the sun coming? Since this is what M wore I have included some of the nappies she had on. This is a birth to potty nappy (BTP) so one size should fit all! 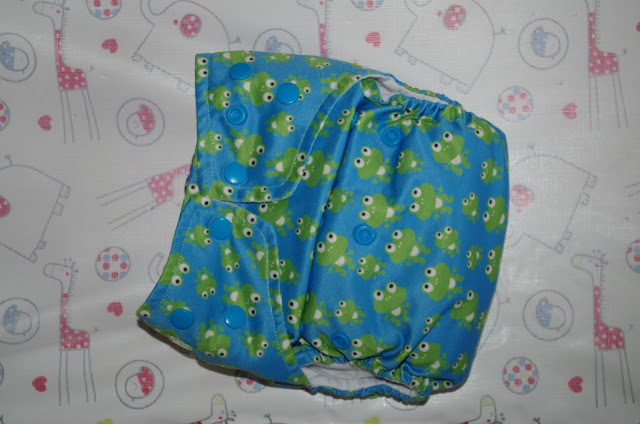 This is such a great happy nappy with the lovely wee frogs on it! Another BTP nappy so should fit all sizes. This is so bright and cheerful and M loves the characters on it. 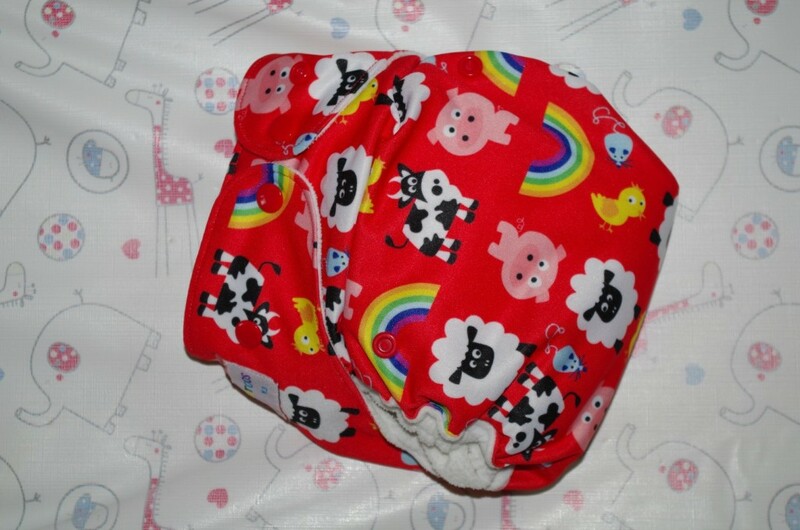 Who wouldn't want to have a nappy that is as bright and funky as this? Love the summer dress! So cute! That dress is so sweet! I love colour, too.